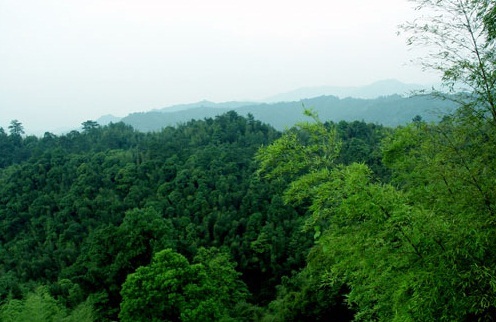 Abstract: On the basis of summarization and presentation of the management mode, content and experiences of asset evaluation at home and abroad, some suggestions were put forward on the management of forest asset evaluation in China. [ 1 ]刘国仁. 资源性资产评估[M]. 北京:中国人民大学出版社, 2003. [ 2 ]罗江滨,陈平留,陈新兴主编. 森林资源资产评估[M ]. 北京:中国林业出版社, 2002. [ 3 ]于翠芳,武艳杰,孙殿宝. 对森林资源资产评估的探讨[ J ]. 防护林科技, 2004 (6) : 57 - 58. [ 4 ]杨桂华,郑亚芹,柏连玉. 谈森林资源资产评估[ J ]. 林业财务与会计, 2003 (4) : 14 - 15. [ 5 ]刘玉平. 我国资产评估行业管理问题研究[ J ]. 国有资产评估, 2001 (1) : 53 - 55. [ 6 ]王哲. 资产评估准则制定的博弈分析[ EB /OL ]. [ 2000 - 01 -15 ] http: / /www. 51cpv. com /Html/ Industry Manage Policy/2007- 12 /27 /111948496. htm. [ 7 ]中央财经大学资产评估研究所. 中国资产评估行业的地位和作用[ EB /OL ]. [ 2000 - 01 - 15 ] http: / /www. kxop. com /html/20075 /20075216751. html. [ 8 ]姜楠. 无形资产评估理论和管理体制研究[M ]. 大连:东北财经大学出版社, 2003. [ 9 ]罗江滨,姚昌恬,高玉英,等主编. 森林资源资产化管理改革理论与实践[M ]. 北京:中国林业出版社, 2002.